Why Did the Taskbar Suddenly Move? Why is Taskhost Consuming So Much of My CPU? 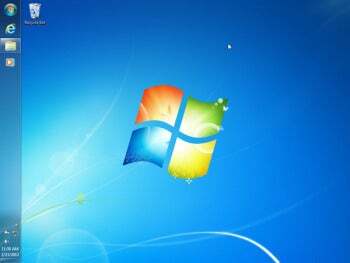 MLStrand56 was busy typing when the taskbar suddenly moved to the left side of the screen. This was not intentional, so MLStrand56 asked the Answer Line forum for help. I suspect that you accidentally repositioned the taskbar from the bottom of the screen to the side. This isn't a matter of hitting the wrong hotkey, but of dragging the mouse from the bottom of the screen to the side (or top). And that's also how you get it back to where it belongs. You point the mouse to a blank stop on the taskbar, and drag it back to the bottom. Of course, you don't want to keep having to correct this mistake. That's why you should lock the taskbar into place so it cannot be easily dragged again. 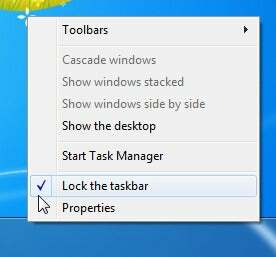 To do this, right-click the taskbar and select Lock the taskbar. Things could have been worse. Try holding down CTRL and ALT and pressing any of the arrow keys. That rotates the image on your screen. If you don't know how to re-orient the image (CTRL-ALT-UP ARROW), you'll have to either put your monitor on its side or painfully crane your neck. Considering these sorts of problems, it's no surprise that MLStrand56 also asked about disabling Windows hotkeys in the original forum discussion.